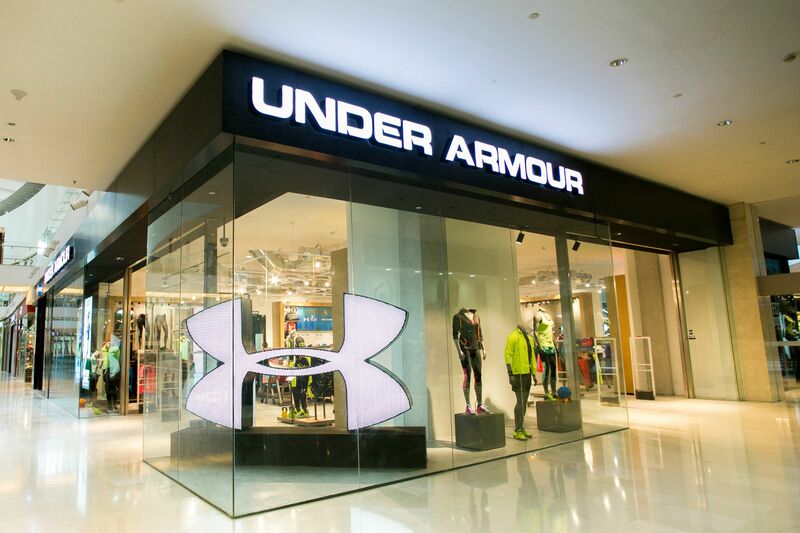 Under Armour, one of the leading global developer and manufacturer of performance footwear and apparel is going to launch two new stores at Pavilion Kuala Lumpur and Mid Valley Megamall. The addition of these new retail stores follows in the footsteps of the brand's flagship store in Suria KLCC, through its exclusive distributor, Triple Private Limited (Triple). This is indicative of the brand's strong momentum of growth in Malaysia and the South East Asian region, sealing its position as the definitive sports apparel brand for athletes. 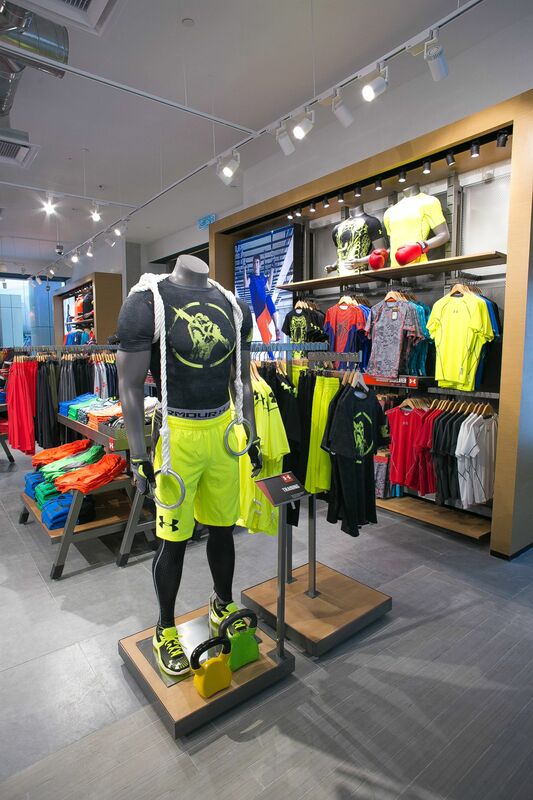 Both of the new stores carry a provocative experiential concept, exuding an industrial and gym-like atmosphere for customers and feel the spirit of the Under Armour brand as soon as they step in.The entire experience echoing the brand’s signature ethos of gritty determination, passion and intensity. Under Armour features a vast range of sporting apparel for both men and women, the newest apparel technology such as HeatGear® Sonic, HeatGear® Flyweight, Coldblack®, UA Tech™, and the Compression range. The sporting apparel for both men and women includes training, running, golf and footwear. As part of their opening store promotion, customers who purchase above RM 300 in a single receipt will be entitled to sign up for a one-year free membership where they will be able to get a 10% discount on all normal-priced merchandise. 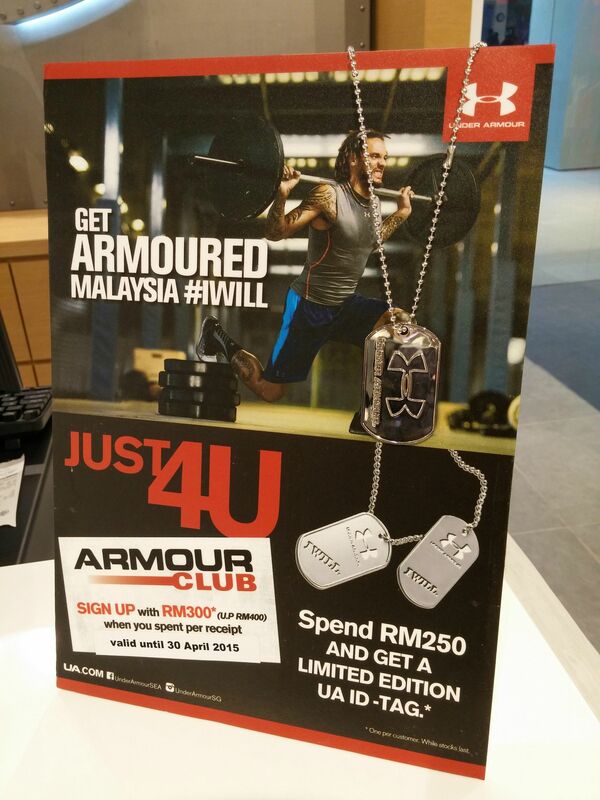 Additionally, customers who spend RM250 will get a limited edition Under Armour ID-Tag. This ID-Tag is limited to one unit per customer, and is available while stocks last. 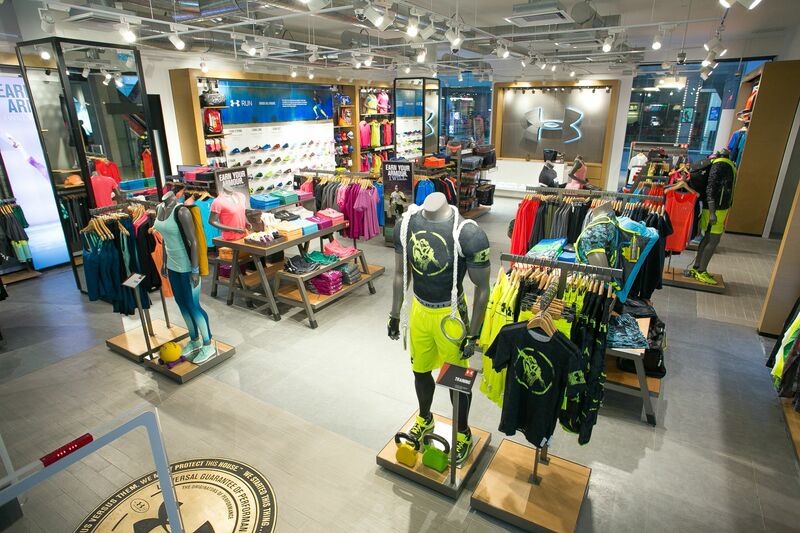 With the opening of these stores, Under Armour now has three outlets in Malaysia and plans to open one more in Sunway Pyramid in late 2015.